Blood pressure in older people is similar to that of middle aged adults. As people age, their systolic blood pressure will increase while their diastolic blood pressure remains the same. These effects are a normal part of the aging process. Normal blood pressure ranges for an adult are 90 to 150 for the systolic and 60 to 90 for the diastolic when taken by sphygmomanometer (blood pressure cuff). Blood pressure is the force of blood pushing against the walls of blood vessels. Systolic blood pressure is created as the heart contracts, forcing blood into the arteries. Diastolic blood pressure is the force remaining in the arteries as the left ventricle of the heart relaxes and fills with blood. Normal blood pressure ranges for an adult will be 90 to 150 for the systolic and 60 to 90 for the diastolic when taken by sphygmomanometer (blood pressure cuff). A healthy 70 year old should have a blood pressure within these ranges, but can be slightly higher in the systolic range. Hypertension is defined as a diastolic pressure generally higher than 90 and commonly found in older people. Hypertension is treated with medications that can carry side effects, including weakness and dizziness. 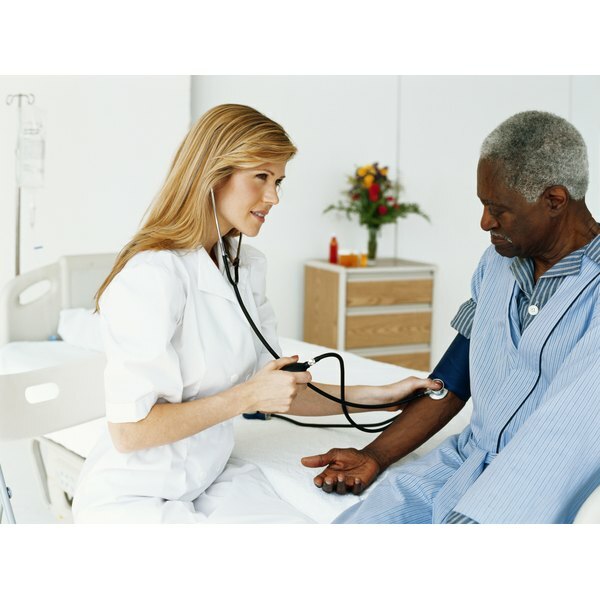 Low blood pressure exists when the systolic pressure drops below 90. This drop in systolic pressure can indicate serious, life-threatening conditions. These conditions can include significant blood loss and shock. High blood pressure exists when the systolic pressure rises over 150 and the diastolic pressure is higher than 90. High blood pressure in older people is treated with medications which can carry side effects including dizziness and weakness. The existence of higher blood pressures in older people does not always indicate a cardiac problem. Problems such as drug interactions, pneumonia and other physical conditions may temporarily raise blood pressure.